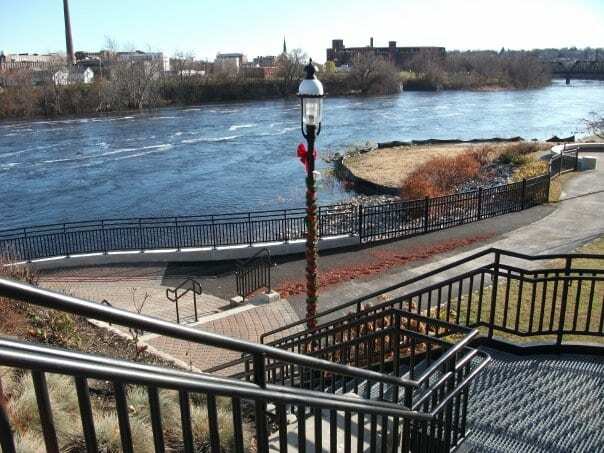 The LA Riverwalk trail is a paved trail that runs alongside the Androscoggin River that connects the downtowns in Lewiston and Auburn. It begins either at Simard-Payne Park in Lewiston or at West Pitch Park in Auburn. In Auburn, the trail diverts in two directions at Bonney Park. Heading west on the trail leads to Moulton Field, and heading east leads you across the old railway bridge – now a pedestrian bridge – and into Simard-Payne Memorial Park. 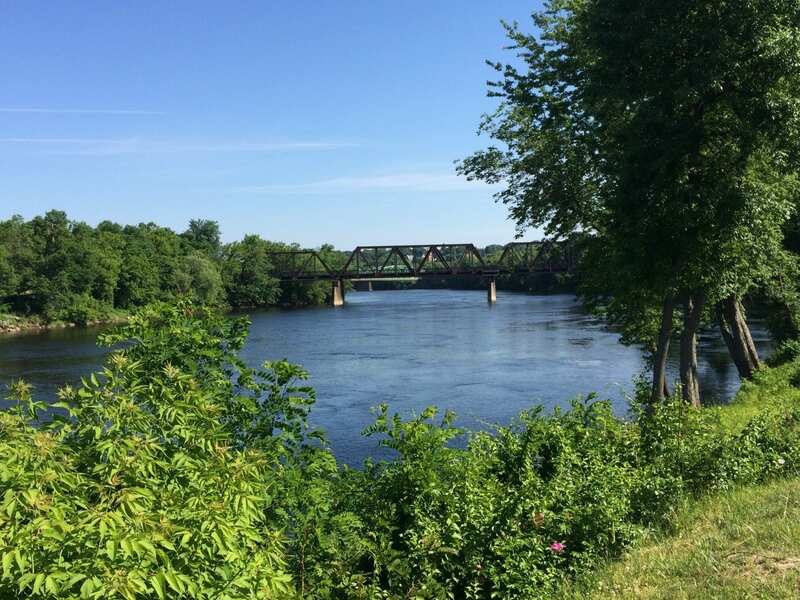 A mile of the trail follows the river and there are beautiful views of the footbridge, South, or Bernard Lown Peace Bridge, or from the West Pitch Park end of the trail; the Great Falls and an expanse of Lewiston and Auburn. beautiful views make this trail great for a short run, bike, or walk. The trail is pet-friendly and a great place to bring the entire family! Directions: This trail can be accessed from Auburn via Main Street, Festival Plaza, or via Moulton Field on the western side of the river behind Great Falls School. From Lewiston, this trail can be accessed through Simard-Payne Park.